You are at:Home»Aquarium Livestock»Minimum Size to be Considered a Mother Colony? Minimum Size to be Considered a Mother Colony? 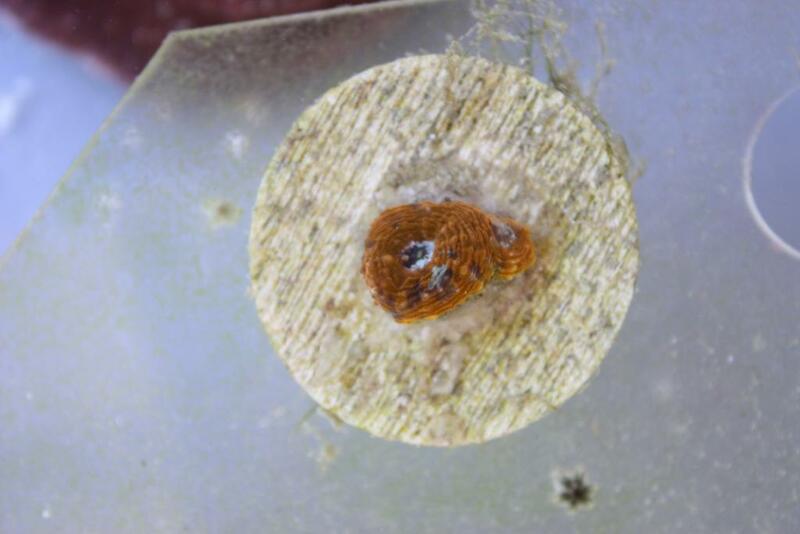 I was perusing the gorgeous frags for sale on the ReefCentral Propagated Corals & Tank Raised Livestock Selling Forum out of boredom and I noticed one striking fact…many people are referring to some of their tiny, frag-sized corals as mother colonies. This discovery brought to mind the question, “At what size does a coral become a mother colony? Some might suggest that a frag becomes a mother colony the minute it is fraggable. For Zoanthids and other single polyped corals, this could occur as soon as a second polyp has been produced. That second polyp could be easily cut off and glued to a frag plug. But this distinction becomes more difficult when talking about LPS corals, SPS corals, and others in which the polyps share skeleton or other tissues. These corals can be cut up and successfully fragged even if they are already tiny. Mouths on LPS corals can be cut in half and still survive. SPS coral frags can be cut down to a 1/2” or less. So where does the Mother Colony moniker kick in? Regardless of the coral type, it is not in the best interest of the coral, the overall look of your reef tank, or even your reputation as a hobbyist to be constantly fragging your corals. It looks as though you are trying to turn a profit from your tank instead of enjoying huge, mature coral colonies that so many reef keepers strive for.